Collagen peptides, a long-time staple of Paleo enthusiasts, have gone mainstream. From celebrity magazines to medical journals, the benefits of this supplement seem to be showing up everywhere. Better digestion, improved bone and joint health, and clearer skin are just a few of the claims collagen-peptide users swear by. If you haven’t heard of collagen peptides, or don’t fully understand them, this overview can help get you started. Collagen peptides are an easily digestible form of collagen. Available as a supplemental powder or capsule, collagen peptides contain short-chain amino acids that are derived from (usually) pasture-raised animal collagen. They’re the gelatin that comes from collagen after it gets further broken down through a process called hydrolysis. This level of processing makes collagen-peptide supplements easy to consume and digest. “Taking collagen as a supplement has many of the same benefits as drinking bone broth, but in a more isolated form,” says Tressa Yellig, founder of Salt, Fire & Time in Portland, Oregon, where she runs a bone-broth café called Broth Bar. 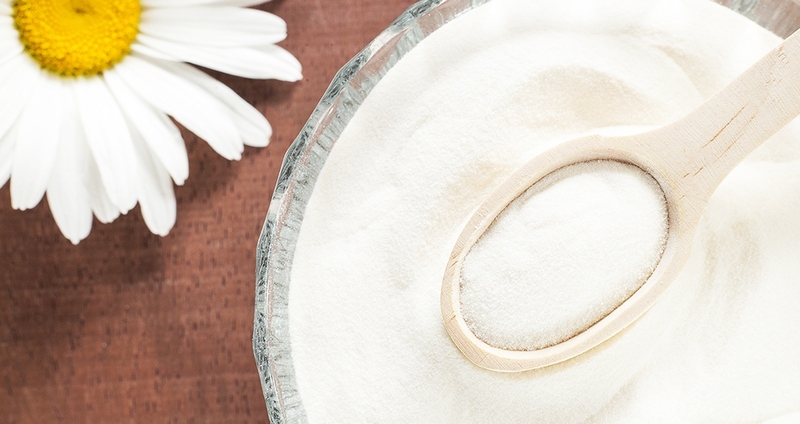 What are the health benefits of taking collagen peptides? Ingested collagen that’s extracted from the skin, bones and connective tissue of animals mimics the proteins that are found in our own cells, helping to heal and promote growth throughout the body. Collagen peptides may also help slow down aging, because of their ability to hydrate the cells. What are some ways to incorporate collagen peptides into diet? You can mix a collagen-peptide powder supplement into almost any drink or food. Toss some in your coffee or tea, smoothie, oatmeal, soup or salad dressing. It dissolves easily in cold and hot liquids, and it doesn’t have much taste. You can even bake collagen peptides into cookies!